The ride doesn’t stop on this fandom train. 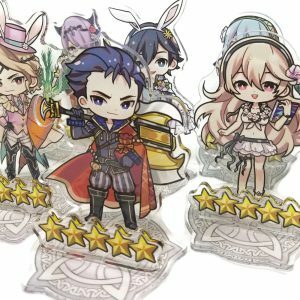 While your Fire Emblem Heroes is down for maintenance, why not get your Heroes fix by visiting Canada, by hitting up one of CWilock’s art sites. At 4″ tall, they make great ornaments for just about anywhere. 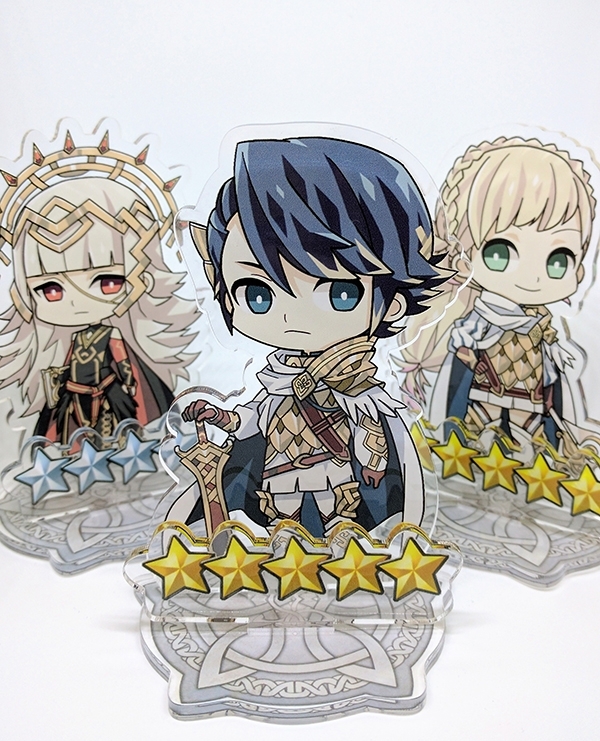 CWilock has a lot of acrylic Fire Emblem Heroes Acrylic Stands (that come in three parts, for easy assembly) and when I say lot, I mean a lot. Choices include Askr and Embla’s royalty figures Alfonse, Sharena and Veronica, as well as other favorites in Takumi, Lyn, Robin (Male), Lucina and Ike. 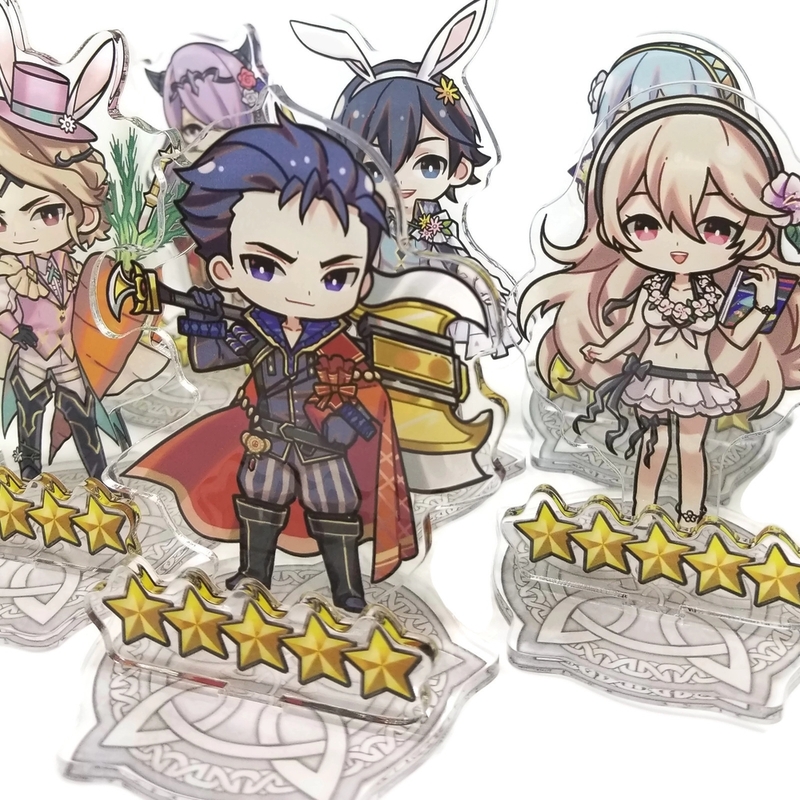 You’ll also find holiday celebration aplenty in Performing Arts!Inigo, Halloween!Henry, Easter!Chrom, Easter!Xander, New Years!Azura, New Years!Camilla, Summer!Corrin, and Love Abounds!Hector. The 5-star ranking pops on just like the character. 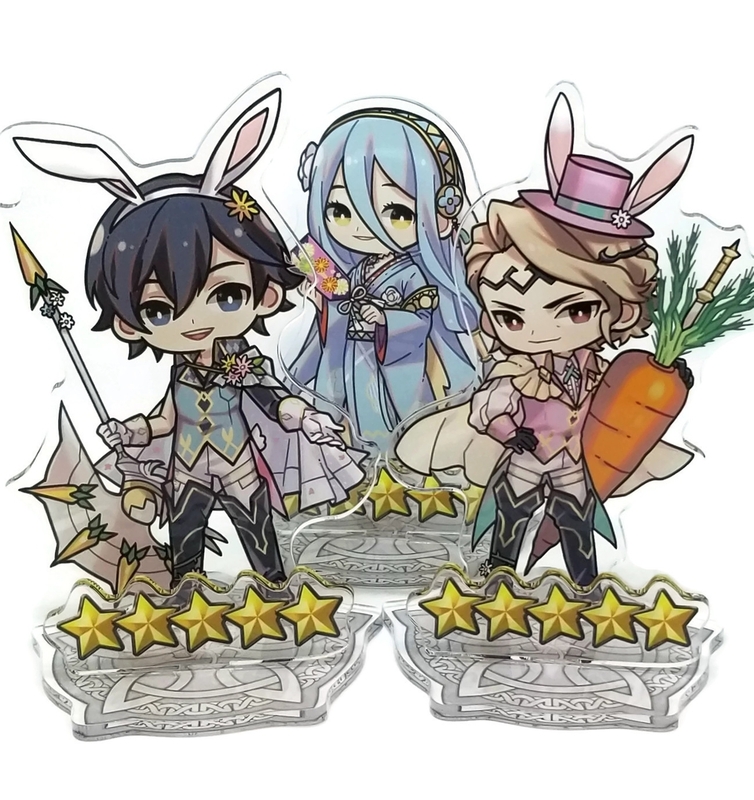 That’s not to say that is all he makes in terms of Fire Emblem themed goodies. Check out his Good Night glitter charms and his Alm & Celica phone charms. It’s ok, second place in the Gauntlet is still impressive! While active on his Instagram and Twitter, you’ll find the stands (and more) on his Tictail and Etsy. Pay CWilock a visit; he’s super friendly! If you’d like to show support for the community, pay them a visit at their respective Etsy, Twitter or otherwise listed pages above (anything bolded can be clicked). Give them a follow or a share, or pick one of their creations up for yourself if you’re able and interested. If you want to have your work showcased on Serenes Forest, contact me (Elieson) on our forums and I’ll do my best to feature you and your talents. Bear in mind that June will feature more of a crafts lineup, while December will be our Draw-cember event, featuring talent more akin to drawings, paintings and the like. I’ve seen those on Etsy. They’re insane. Would definitely be interested buying on of those. Thanks for referencing them here. Nice, Edmonton is only a three hour drive from where I live, so I may actually check this out someday. I can’t help but be reminded of the Noseless Celebrities meme by the angle on Xander and Azura in that picture, which only makes me like this even more.